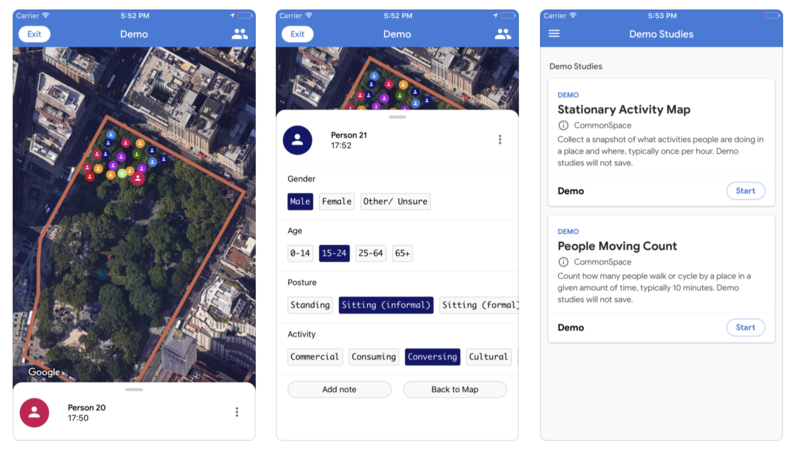 Alphabet’s urban planning subsidiary announced today the launch of CommonSpaces. The new app was created to give park operators and community members a place to enter and organize observations about parks and other publics spaces. Interested parties can create a web portal for a space. The organizer defines the parameters of a study, outlining what sort of data they’re looking to collect, and users are then given shifts to go about recording data. The goal is discover how people utilize various public spaces, information that can be used to determine future changes. For obvious reasons, Sidewalk is quick to note the privacy parameters it set up for the app. The company says it’s adhering to Privacy by Design, and won’t be collecting any personal information about bystanders who are observed for CommonSpaces. After being piloted at a Toronto park in Fall of last year, the app is now available for both Android and iOS.